Irene J. (Petrie) Thomas, 89, passed away on March 14, 2017. She was the wife of former Michigan pastor Earl Thomas. The funeral was held March 18 in Fishers, Ind. Throughout 2017, as we celebrate the United Brethren denomination’s 250th anniversary, we are looking at events from our history. Around 2 a.m., on March 31, 1982, our mission house in Freetown came under attack. Bob Eberly, the Sierra Leone business manager, was awakened by voices outside the house, which was located on a hill overlooking the city. Looking out a window, he saw a group of men just outside his daughter Brenda’s bedroom. Not long before, thieves had broken into the Wesleyan mission house just down the road. Now it was happening to them. The Eberly family had gone to Sierra Leone in 1979. They were from the Otterbein UB church in Greencastle, Pa. They tried unsuccessfully to put out the fire, running back and forth in the dark. But finally, Bob just closed the door and let it burn. Fortunately, it never spread beyond Brenda’s room. Bob tossed them his wallet. They said it wasn’t enough, and began trying to break through the main entrance. Bob opened the safe to get more money. But suddenly the thieves just went away. Turns out their watchman, Amadu–whom Bob feared might be dead–had run to a neighboring house and called the police. About 3:30 a.m., the police pulled up in an old Landrover, and ten heavily-armed men disembarked. The siege was over. In 1935, we opened a medical clinic in the town of Gbangbaia, the center of much of our work in Sierra Leone. But when the Missions board decided to start a full-fledged hospital, they opted for the up-and-coming town of Mattru. There were no buildings and, more importantly, no doctor–not until 1957. Until then, a string of nurses ran the medical work at Mattru. Starting with Juanita Smith and Oneta Sewell, who had come to Sierra Leone in 1944. In 1950, these two nurses opened a medical dispensary in Mattru, and held daily clinics in Mattru and surrounding villages. At the same time, recognizing that a full-fledged hospital would require a lot of nurses, they started a nursing school with three students, all of them graduates of our Minnie Mull School for Girls in Bonthe. In the years ahead, many more students from Minnie Mull would enroll. The students made their own uniforms—blue dresses with white aprons and caps. Nurse Martha Bard continued running the Gbangbaia dispensary by herself. When she went on furlough, Oneta and Juanita took turns holding monthly clinics at Gbangbaia. Juanita usually rode her bike to Gbangbaia, which involved bumping along rough paths, pushing the bike up hills, and carrying it over fallen trees and other obstacles. One of the African male nurses typically followed behind, carrying medical supplies on his head. After seven miles, Juanita would stop in the village of Kabati and wait for the nurse to catch up. They would treat some patients, eat lunch, and continue their journey. Toward evening they would reach Imperreh, where they would spend the night and, the next morning, hold a small clinic. When they reached Gbangbaia later that afternoon, DeWitt and Evelyn Baker and family would be waiting. Juanita would spend two days there, treating people from surrounding villages. When Juanita Smith returned from furlough in September 1958, she brought a new microscope, along with a new set of skills: she had taken a laboratory course at Lutheran Hospital in Fort Wayne, Ind. Dr. Alvin French, who had arrived the year before, put her lab skills to work—blood counts, urinalysis, stool examinations, and more. It provided more accurate diagnoses, which enabled more specific treatment. Altogether, Juanita Smith served four terms in Sierra Leone, up until 1965. She later married Charles Guenzler and settled in Mt. Carroll, Ill., where her father had pastored many years before. Juanita passed away in August 1981. On April 20, Huntington University will break ground for the Ware Plant Science Production Facility, to be built next to the Dowden Science Building. 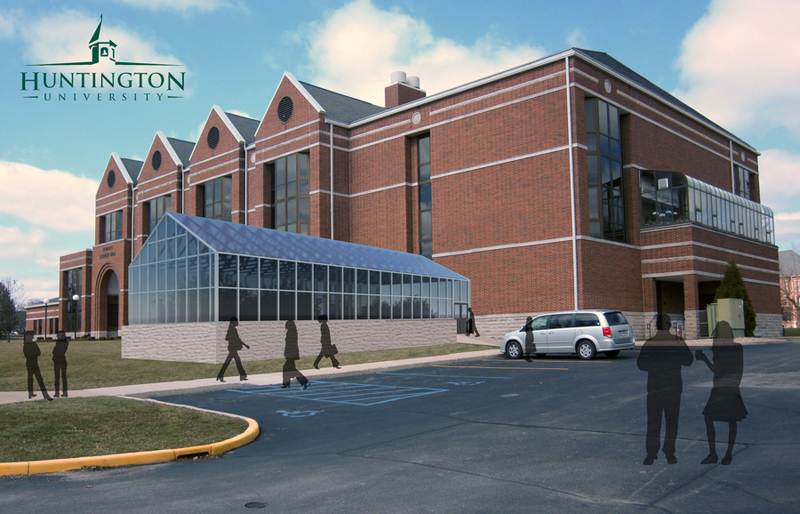 The 2000-square-foot building is designed to be split into two independent zones, one for student instruction and one for research and production purposes. The lead donations came Dr. and Mrs. Douglas Ware of Chapel Hill, N. C. Carolina, who gave in honor of Douglas’ late father, Dale Ware, a long-time Huntington County educator and HU alum (Class of 1936). The Haupert Institute for Agricultural Studies opened in the fall of 2015 and promotes a Christian perspective on agriculture. It recognizes the responsibility to be good stewards of God’s creation and to examine questions of sustainability and justice. The institute is intended to help meet the growing need for agriculture professionals, and offers eight concentrations in agribusiness as well as an agricultural education degree. For more information on the Haupert Institute, please visit www.huntington.edu/agriculture. 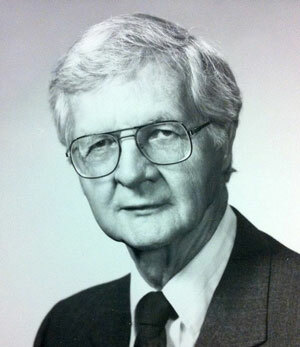 Dr. J. Edward Roush passed away on March 26, 2004. He was 83. Roush served eight terms as a US Congressman from northern Indiana, and was instrumental in establishing the 911 emergency phone system. Roush was deeply committed to the United Brethren church and to Huntington University. He and his wife, Polly, were longtime members of College Park UB church in Huntington, Ind. After graduating from Huntington College in 1942, Roush entered the US Army. He served as an officer during World War II, and was caught behind enemy lines during the Battle of the Bulge. He was later called to active duty during the Korean War. After graduating from the Indiana University School of Law in 1949, Roush went into private practice and served as a Huntington County prosecuting attorney. Then, in 1958, he ran for Congress on the Democratic ticket. After five terms, Roush was defeated in 1969 followed a redistricting, but he won his seat back in 1971 and served three more terms. He was defeated for re-election in 1976 by Dan Quayle, who went on to become a US Senator and Vice President. After several years as a director in the Environmental Protection Agency, Roush returned to private practice in 1979. Ed and Polly Roush lived on a house on the Huntington University campus, next to Livingston Hall and across the street from the Administration Building. He served six years on the college board of trustees, and one period as interim president during 1989 while President Eugene Habecker was on sabbatical. Dr. Roush was also very active in the denomination. He was the UB legal counsel for many years, and served on various leadership boards and committees. He was a frequent visitor to the National Office, usually for meetings with Bishop C. Ray Miller. He always carried himself straight and tall, with a distinguished bearing. He could argue a position forcefully and eloquently, but he always wrapped his words in grace, civility, and consideration for those on the receiving end. March 25, 1924, marked the premature end of a promising missionary career. 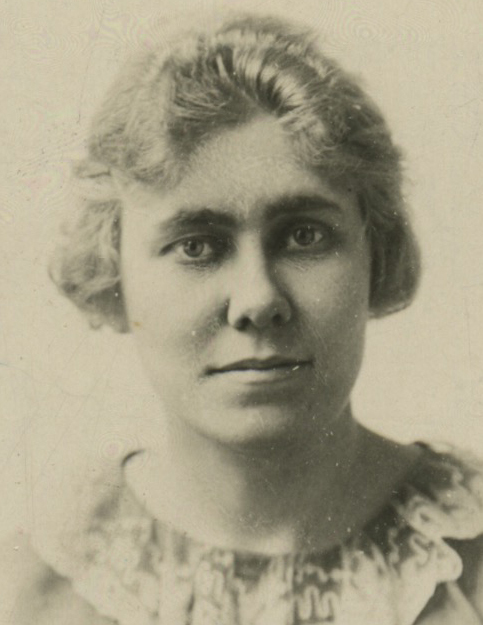 The new Minnie Mull Memorial Home opened in August 1923, and two new missionaries came as teachers: Ellen Rush of Alma, Mich., and Mabel Shultz of Sutton, Neb. They arrived at the Bonthe pier to see hundreds of people waiting there. It seemed like a royal welcome. But actually, the fanfare was to welcome the British governor, who was to arrive at almost the exact same time. George Fleming described Mabel Shultz, a Huntington College graduate, as a quiet, unassuming person whose Christian influence quickly endeared her to the staff and the 70 girls who attended Minnie Mull. However, after seven months Mabel became very ill and needed to be sent home. Fleming took her to Freetown and booked passage on a steamer bound for New York—which was fortunate in itself, since the ship could carry just 12 passengers. Fleming talked to the ship’s captain, explaining his concern for Mabel’s care, since nobody from the mission could accompany Mabel back to America. The captain told him not to worry. 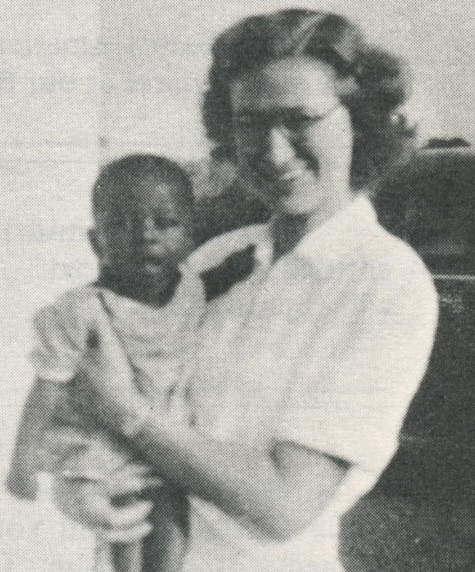 “We have a party of six missionaries en route from Liberia to the States, and one of them is a registered nurse.” Fleming then met with some of those missionaries, who promised that they would take good care of Mabel. Which they did. About ten days from Freetown, Mabel started to mend. However, her missionary service was over. 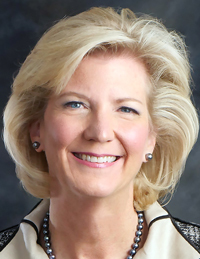 Shirley V. Hoogstra, J.D., will be the keynote speaker at Huntington University’s 119th Commencement on Saturday, May 13. Hoogstra became president of the Council for Christian Colleges & Universities (CCCU) in September 2014. Prior to that, she served for 15 years as vice president for student life at her alma mater, Calvin College. She also spent more than a decade practicing law as a partner at a firm specializing in litigation in New Haven, Connecticut. “I am honored to be included in the most special day for the graduates and their families at Huntington. This university is a jewel in the state of Indiana. It makes me proud to be associated with them,” Hoogstra said. L-r: Steve Shadle, Mitch Benedict, Jay Brown, Steve Flint, and Marc Webb. The two-day United Brethren history course was held March 21-22, 2017, at King Street UB church in Chambersburg, Pa. The instructor was Daryl Elliott, senior pastor of Fountain UB church (Keyser, W. Va.). 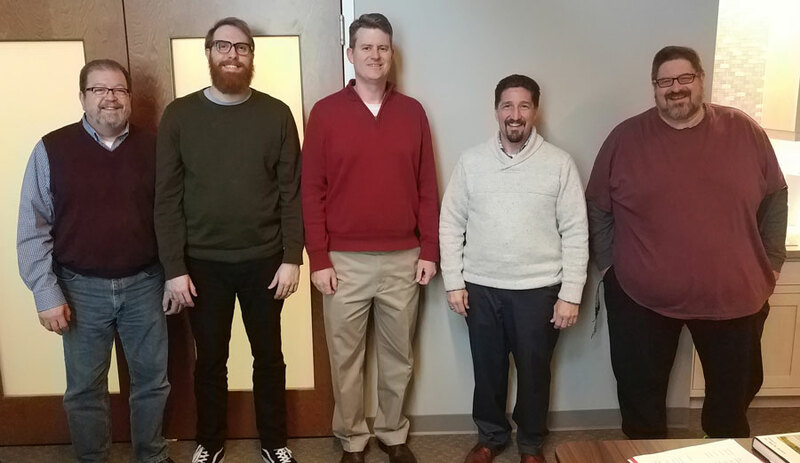 Five persons attended: Steve Shadle, Mitch Benedict, Jay Brown, Steve Flint, and Marc Webb. Webb is assistant pastor of Idaville UB church (Gardners, Pa.). The other four are all from King Street. 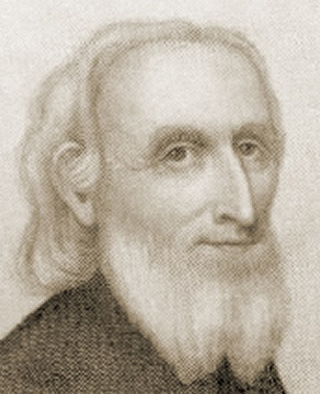 Martin Boehm, one of the two founders of the United Brethren Church, passed away on March 23, 1812. It seemed to have been somewhat unexpected; he had enjoyed good health, and was riding short distances on horseback until a few days before his death. But when it came, it came fast, with increasing weakness and debility. One day as Boehm plowed his fields, he knelt at the end of each row to pray, and the word “Lost, lost” continually hovered over him. Finally, halfway through a row, he broke. Falling to his knees, he cried out, “Lord save, I am lost!” The words of Luke 19:10 immediately came to him, “I am come to seek and save that which is lost.” Joy poured through him. He ran to the house and told Eva what had happened. From that day on, preaching became a joy—a passion—and he zealously spread the message of salvation to which he had been oblivious for so long. Lives were transformed. About ten years later, Boehm preached about his “Lost, Lost” experience at Isaac Long’s barn. William Otterbein, in the audience that day, had experienced something very similar several years before. So after Boehm concluded his message, Otterbein embraced Boehm and said, “We are brethren.” And here we are today, 250 years later. With rebel activity rising, the UB Mission board removed its last missionaries from Sierra Leone at the end of 1994. The next month, rebels captured Mattru Jong. When the Sierra Leone army regained control ten months later, our hospital had been totally trashed. Everything was gone—the generators, medicine, equipment, beds, linens. Only the building shell remained. The Mission board announced they wouldn’t invest to reopen the hospital. Then along came Médecins Sans Frontières (MSF), better known as Doctors Without Borders. This European organization, which won the 1999 Nobel Peace Price, provides healthcare in war-torn and unstable situations. When things stabilize, they leave. MSF entered Sierra Leone in 1994 during the early days of the rebel war. In the years ahead, they supported several dozen medical clinics scattered throughout the country. Among other things, they vaccinated tens of thousands of children for measles. MSF signed an agreement with Sierra Leone Conference to run a clinic out of Mattru Hospital. They poured thousands of dollars into the facility–renovating the buildings, clearing brush, installing a generator and pump, bringing in new equipment. By 2000, Mattru Hospital was flourishing once again. In addition to the usual medical services, over 100 kids, plus their mothers and often siblings, stayed at the hospital as part of a feeding program. The spiritual emphasis was missing–that’s not part of MSF’s purpose–but quality healthcare had returned to that part of the country, with services offered at little or no cost. On March 22, 2002, Medecins Sans Frontieres concluded its work at Mattru and transferred control to Sierra Leone Conference. MSF, essentially, took some devastated buildings, turned them into a well-equipped hospital–and then gave it all to us. It’s always interesting to see how God carries out his purposes.